It's hard to describe Shannon's vocal talent in words - and we won't even try. Just click the play button, sit back, listen... and prepare to be amazed. Stylistically, Shannon is equally at home in a wide variety of genres, from Rock, to Blues, to Soul and Jazz - and pretty much everything in between. In fact, Shannon's talents are so diverse, she performs in different "incarnations" to make the music and the occasion always a perfect fit. 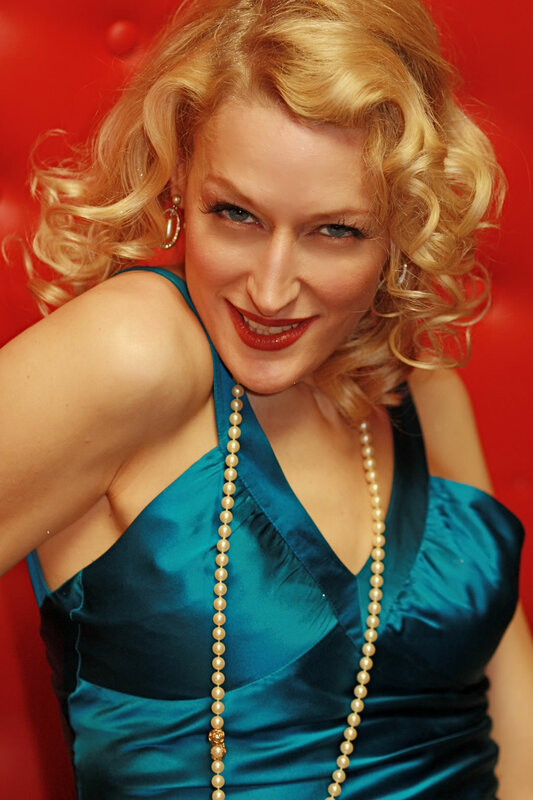 High Society is Shannon's vehicle for Jazz and Big-Band Swing - from a simple 3-piece ensemble to 16-piece jazz orchestra. Perfect for top-drawer events where elegance and style are the order of the day, Shannon Conley and High Society can make your next event something truly special - one your guests are sure to remember for a very long time. The name says it all - when it's time to get the party started, the Shannon Conley High Life Party Band will get the job done. With danceable Rock, Funk, Blues and more, Shannon and crew will keep your audience going until it's time to send everybody home. It's a funky good time for everyone. As the lead singer of Lez Zeppelin, renowned all-female Led Zeppelin tribute band, Shannon has performed all over the world. Go to the Lez Zeppelin website to check out when they're performing near you. Booking inquiries for High Society and The Shannon Conley Party Band should be directed to info@shannonconley.com. Or you can leave a message on our Contact page.